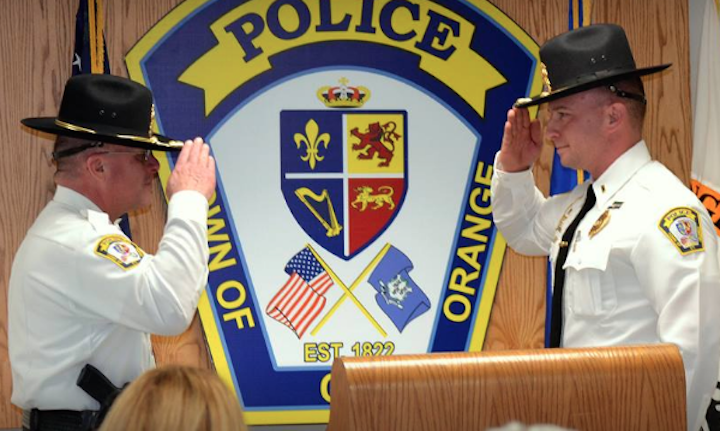 Sergeant Ray LaPlante was sworn-in as the Orange Police Department’s newest Lieutenant on Feb. 21, 2018. Lt. LaPlante joined the department in 2000 as a dispatcher and was later hired to be a patrol officer. Over the years, he has been assigned to the Motorcycle unit as an officer and the unit’s commander, the Honor Guard as both officer and Supervisor, a member of a regional anti-drug task force, a field training officer, the Supervisor of the Traffic Initiatives Unit, and the Supervisor of our newly-created Drone team. Lt. LaPlante lives in Orange with his wife and sons. 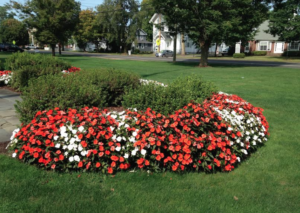 He will be initially assigned to the overnight patrol division. A young officer LaPlante in the early days of the motorcycle unit.